Monoprinting while a Cardinal sings. 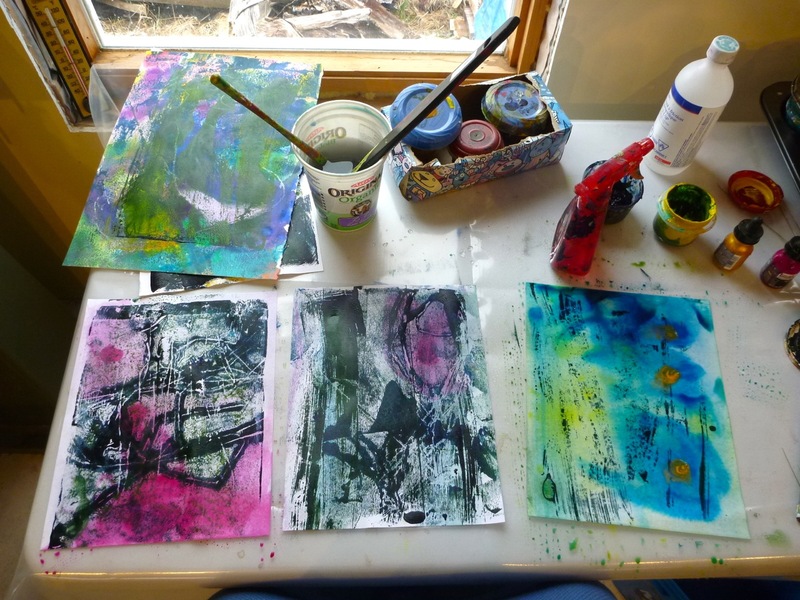 Today in the studio I experimented with monoprinting. This time I rolled acrylic paint into plexiglass and then printed, and then overprinted onto dry, smooth paper. 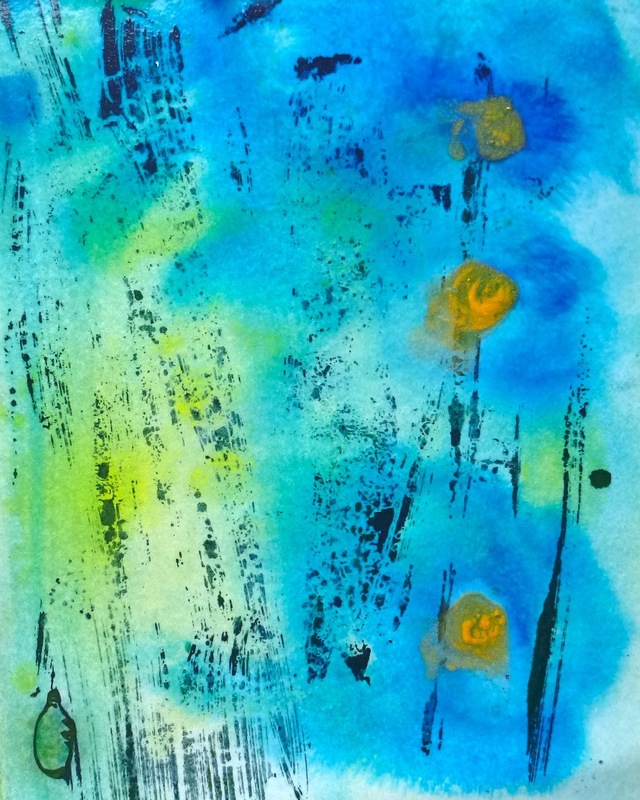 I used pieces of dried long grass to create texture and also dropped acrylic inks onto the paper and squirted it with water to push around the inks. While I worked on these, I listened to a podcast about slavery and racism in the 1800’s in the US and wondering what the people who lived in our house during those times thought or knew about it. When you live in a house that is over 150 years old, that amount of time doesn’t seem so long ago. And the details of slavery sound shockingly recent. And the inequities persist. While I was in the studio, a bright, beautiful cardinal landed on the bushes outside the window and sang his Spring song. My containers of fluid acrylics are topped up and ready for a new season of painting. back very far in time to see injustice. I think the cardinal was sent to say — let’s try to focus on the present. That doesn’t mean we have to forget the past. Or even ignore the current injustices going on very close to home.